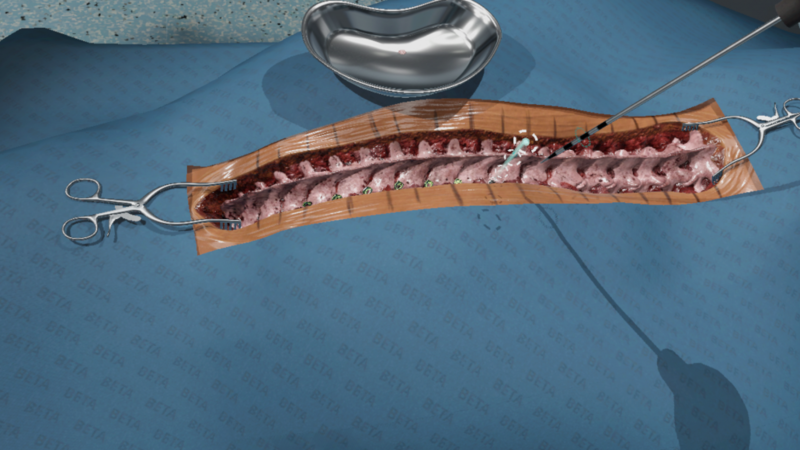 The Fundamental Surgery™ simulation platform that uses low-cost hardware to enable measurable and repeatable haptic sensations of pedicle screw insertion now has built-in learning and measurement modules in this latest software release, with more spine procedures set to follow in 2019. Unlike other spine simulators that have limited or no haptic feedback, Fundamental have focused on creating hi-fidelity haptic and hi-res graphic environments. Attendees at the Eurospine conference in Barcelona this week including senior educators and surgeons indicated that the haptics and graphics in Fundamental Surgery far surpassed any others experienced in VR. “We have brought together the world’s best haptic engineers, VR developers, CG artists and surgical educators to create the world’s most effective simulation experience, all under the directorship of our global medical panel of surgeons, and enhanced with feedback and input from neurosurgeons across the leading hospitals in the U.S.” said Chris Scattergood co-founder of FundamentalVR. The launch of the learning modules is driven by Peter Rainger, Chief Learning officer, who has previously created more than 100 surgical procedures in simulation and has worked with residency programmes across the world to integrate simulation into their training programmes. FundamentalVR is an educational technology company specialising in immersive experiences to enhance surgical education. It has developed Fundamental Surgery™ as a SaaS platform featuring VR Haptics technology that takes advantage of readily available virtual reality hardware to create a simulation system that can be used on any modern PC set up – even a laptop. Fundamental Surgery™ provides healthcare professionals around the world access to authentic surgical simulations at low-cost. Inter-Operative Image from pedicle screw simulation in VR showing educational, 3D visual guidance of exact angle.